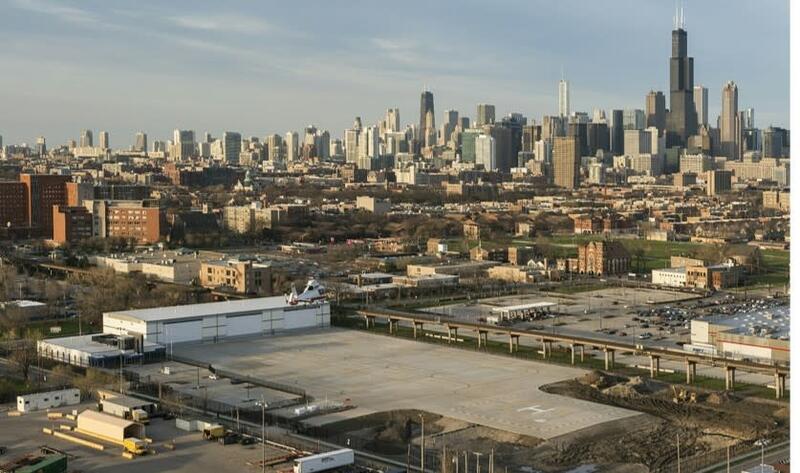 Vertiport Chicago is a 10-acre private heliport located in the Illinois Medical District, adjacent to University Village and Little Italy. It boasts a 30,000 square foot hangar, with 3 large bays that open out onto a large tarmac. Vertiport Chicago lends itself perfectly to automobile debuts, consumer drive events, and large corporate and not-for-profit dinners and receptions. More intimate gatherings can be accommodated in the VIP Conference Room or VIP Helicopter Tour lounge, with private helicopter tour packages available.